Burj Dubai will be inaugurated on January 4, 2010, which marks the fourth anniversary of the Accession Day of His Highness Sheikh Mohammed Bin Rashid Al Maktoum as the Ruler of Dubai. The new website caters to the growing international interest in the tower. Burj Dubai will soon become a vibrant community as well as a breathtaking structure, a city within a city where thousands of people come to live, work and to enjoy its astonishing facilities for entertainment and hospitality. The website is a window through which any visitor, be they a new arrival in Dubai, a long-time resident, or a foreign traveller planning his or her first trip to the UAE, can gain the most comprehensive knowledge of the world’s tallest building. 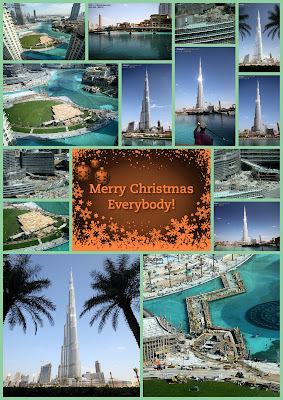 The easy-to-navigate website, www.burjdubai.com , has a large portfolio of images of the tower and the surrounding community of Downtown Burj Dubai, a 500-acre mega project including the world’s largest shopping mall, The Dubai Mall, developed by Emaar Properties. The new website will soon allow visitors to buy tickets to the tower’s 124th floor observation deck, At The Top, Burj Dubai. 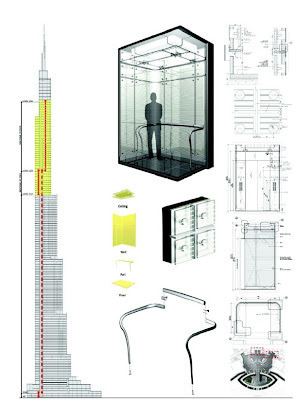 The site provides a detailed account of the experience awaiting visitors near the summit of Burj Dubai. It also provides visitor information including directions to the At The Top tour, which begins at The Dubai Mall. They can also get insights on the various aspects of the journey. The website has dedicated sections on the exclusive residences and offices inside Burj Dubai, and a full account of the world’s first Armani Hotel Dubai. There is also a detailed overview of the surrounding Downtown Burj Dubai community, including a virtual tour of its many retail and hospitality attractions. Burj Dubai stands at more than 800 metres (over 2,625 ft) high and is already the world’s tallest man-made structure. A mixed-use tower featuring the world’s first Armani Hotel Dubai and Armani Residences, alongside corporate suites, residences, retail and leisure facilities, Burj Dubai is at the centre of Downtown Burj Dubai, a 500-acre mega-development by Emaar Properties. 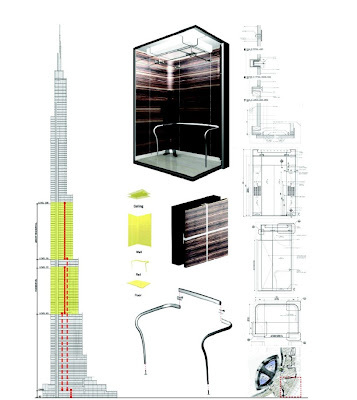 Among an array of lifestyle amenities, the tower will have a public observation deck - At the Top, Dubai - on level 124. Described as the new heart of Dubai, Downtown Burj Dubai encompasses The Dubai Mall, one of the world’s largest shopping and entertainment destinations; several hotels; offices and homes. A stellar attraction within the community is The Dubai Fountain, the world’s tallest performing fountain. At over 800 metres, the Burj Dubai has already achieved the distinction of being the world's tallest structure surpassing the KVLY-TV mast (628.8 metres; 2,063 ft) in North Dakota, USA. The tower is taller than Taipei 101 in Taiwan, which at 508 metres (1,667 ft) has held the tallest-building-in-the-world title since it opened in 2004. Burj Dubai also surpassed the 31-year-old record of CN Tower, which at 553.33 metres (1,815.5 ft) has been the world’s tallest free-standing structure on land since 1976. Designed by Chicago-based Skidmore, Owings and Merrill (SOM), Burj Dubai is constructed by high-rise experts South Korea’s Samsung Corporation. New York-based Turner Construction International is the project and construction manager. The tower employs the latest in wind engineering, structural engineering, structural systems, construction materials and construction methods. Emaar Properties PJSC, listed on the Dubai Financial Market, is a global property developer with a significant presence in key markets world-wide. Besides building residential and commercial properties, the company also has proven competencies in shopping malls & retail, hospitality & leisure, education, healthcare and financial services sectors. Emaar is set to inaugurate Burj Dubai, the world's tallest building and free-standing structure, and has opened The Dubai Mall, the world’s largest shopping and entertainment destination. In Saudi Arabia, Emaar is developing King Abdullah Economic City, the region's largest private sector-led project in Saudi Arabia, featuring a Sea Port, Central Business District, Industrial Zone, Educational Zone, Residential Communities and Resort District. Emaar has joined hands with Giorgio Armani to strengthen its presence in hospitality. The company is also opening educational institutions and healthcare centres in South Asia, Middle East and North Africa and the Subcontinent. Emaar holds 30 per cent equity in Dubai Bank, focused on retail and commercial banking. Emaar is also the largest shareholder in Amlak Finance, UAE's leading Islamic home financing company. For more information, visit www.emaar.com. Dubai, UAE; December 24, 2009: When the world’s tallest building is inaugurated on January 4, 2010, by His Highness Sheikh Mohammed Bin Rashid Al Maktoum, UAE Vice President & Prime Minister and Ruler of Dubai, the record books will brace themselves to receive a flood of new entries. For many, Burj Dubai will be defined by its soaring beauty. Others will marvel at the audacity of its engineering. Countless more will cherish the breathtaking views from At The Top, Burj Dubai, the observation deck on level 124. But for the compilers of the record books, it will be the statistics that etch the deepest impression.